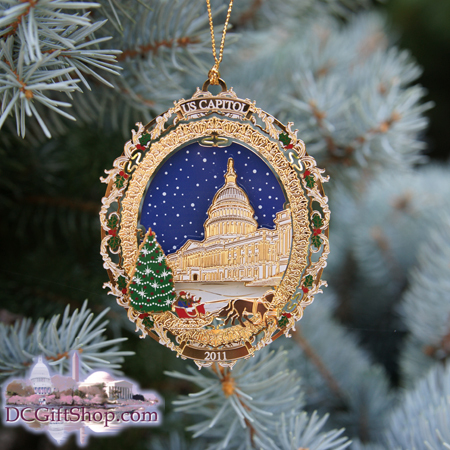 For the year 2011, the US Capitol Historical Society has released a superb ornament. It is a night scene with a star-lit sky and a couple riding in an open sleigh in front of the Capitol Building and a Christmas tree twinkling in the snow. The U.S Capitol building has never been the geographic center of the federal District, but the Capitol is the origin by which both the quadrants of the District are divided and the city was planned.